Automobile interiors, furniture, and boat seats look like new. Nate's repairs meet OEM standards. They will always have the same color, texture, and sheen as the surrounding surface. 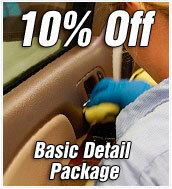 99% of our repairs are undetectable and all Nate's repairs come with a limited lifetime warranty. Headquarters in Marshall, Texas provide comprehensive fleet and commercial services in efficient production facilities. Full service detailing and restoration! Set up a Nate’s 5-Star Recon in your dealership and sell every car for its full value. Fast, efficient dealership make-ready services that make every customer a satisfied customer! Nate's offers quick turn-around, a consistent step-by-step detailing process, and our team of trained professional technicians. Create customers for life with Nate’s Commercial Services. 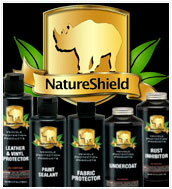 Offer your customers our NatureShield protection products to enhance and extend their new car experience. Nate's is your source for long-life paint sealant, fabric protection, leather and vinyl protection, interior sanitization, and undercoating. Protect your customers' investment and make more profit! Highest quality auto detailing, interior restoration, interior sanitization, and auto appearance protection product application. We do expert automotive interior restoration services, quick wash, basic, standard and deluxe auto detailing packages, and we offer commercial make ready and fleet services. We are a professional provider of NatureShield products/services, including, Paint Sealant, Leather and Vinyl Protector, Fabric Protector, and Undercoat. 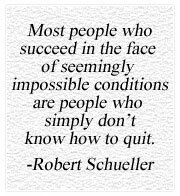 We know what commercial automotive clients need. We provide professional services that satisfy your needs and satisfy your customers.